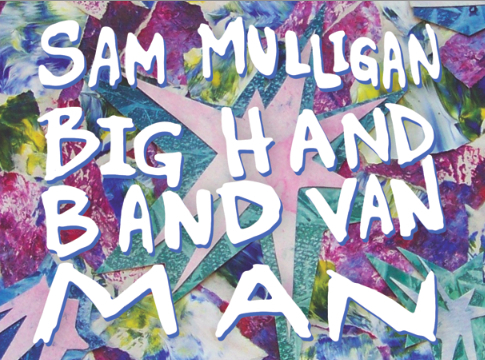 Sam Mulligan: EP Release date! Dave Richardson and myself are going to be releasing our newest CDs the same week! To celebrate the occasion, we are having a dual CD release show with a couple other music friends at PA's Lounge in Somerville on Friday, January 25th. There will be a couple special guests, and physical copies of both of our albums, and Steve Subrizi and Diamond Machine are going to be playing too! So, it should be a blast. Oh, you want some details on my CD? It's called, "Big Hand Band Van Man", it's got 5 tracks, it features Dave Richardson singing background vocals on one song, and one song was co-written by Rob Lynch of Cathode Rays (who also plays a controller/guitar solo in that song). It's my first EP to feature my gameboy-based songs, and I've been working on it since May 2012. Want to know anything else? Ask me! Dave's newest album is called "Well", and you can find out more on his website, www.daverichardsonfolk.com and pre-order it on his bandcamp website.